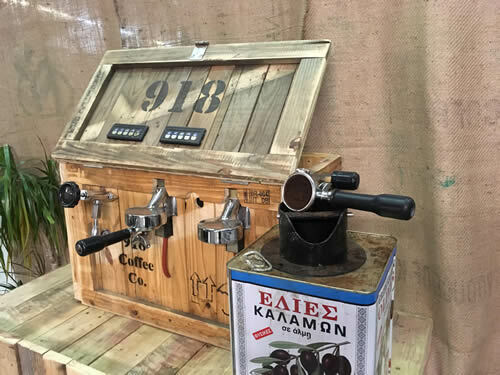 Carbon Free Coffee from The 918 Coffee Co. In addition to the above-mentioned schemes & partnerships, they have gone much further toward creating a cleaner and more sustainable coffee future for all of us to enjoy. By tackling the waste, the industry creates at its destination we are helping deliver a cleaner tomorrow. Eco Roast Technology is a carbon reducing, zero waste process to drastically reduce the impact that coffee consumption has on the environment. With over 500,000 tons of waste coffee grounds being disposed of in landfill in the UK each year, our ever-growing coffee consumption is significantly contributing toward global warming. Unfortunately, coffee grounds accelerate the decomposition of other food wastes that are sent to landfill, as they decompose, they produce methane, which is a greenhouse gas with more than 20 times the global warming capacity of carbon dioxide! Sending waste coffee rounds to landfill doesn’t just cause excessive methane production, it’s also a potential source of hazardous pathogens and organic leachates that can contaminate surface and ground watercourses, leading to other biological and environmental hazards. Most importantly it is a complete waste of an abundant, valuable resource, rich in energy & nutrients. 918’s commitment to the environment is very well documented through numerous awards and initiatives we have been involved in. The main environmental achievement for them to date is the invention and development of Eco Roast technology, by diverting tons of coffee grounds from going to landfill significantly reduces the amount of methane and C02 being created. By turning this resource into a very efficient biomass fuel we can roast fresh coffee using waste coffee! This is far from the only environmental practice we employ though, as well as the waste coffee, we recycle more than 90% of all our commercial bi-products – this makes us a WASTE NEGATIVE company – which they are incredibly proud of. 918 are also partners with the Green Earth Appeal donating towards the planting of fruit trees in developing world countries. Thanks to a great partnership between 918 Coffee Co and The Green Earth Appeal, we have developed a new initiative for our customers to participate and contribute to a more sustainable world. The scheme is simple and effective, for every box of Carbon Free Coffee we sell, a donation will be made in your name to The Green Earth Appeal, which will allow them to plant a fruit tree in one of their projects across the developing world. For every tree planted there is 1 ton of Carbon Sequestered in its lifetime, it is calculated that a single cup of coffee produces 59g of carbon in its life from Crop to Cup, which equates to 4.5kg of carbon per 1kg Pack of Coffee, which equates to 26.5kg of carbon produced for each case of 6 x 1kg! Therefore, for every case sold 1000kg of carbon is sequestered – making this purchase significantly carbon positive! What will you do with your spare 973.5kg?